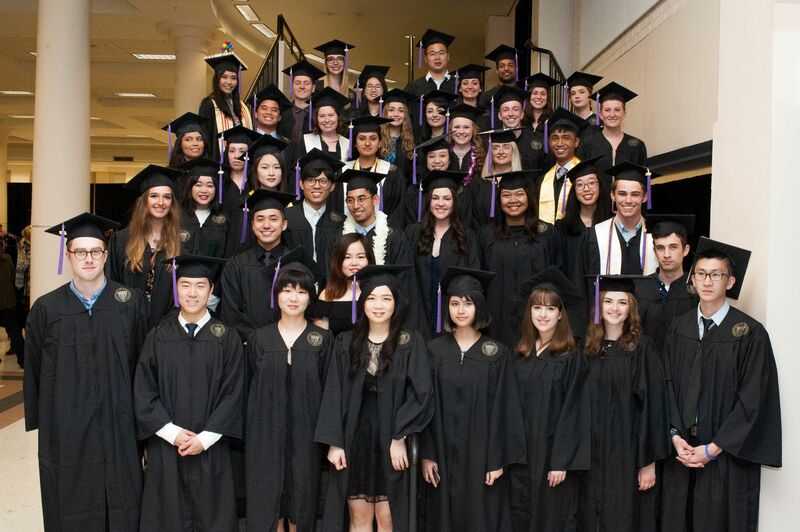 Congratulations to graduating students in the College of Built Environments. Please review the information below to assist you in your graduation plans. Degree applications are coordinated by your individual departments and programs. If you have any questions about your degree please contact your departmental adviser. Please carefully review and respond to all graduation notifications. 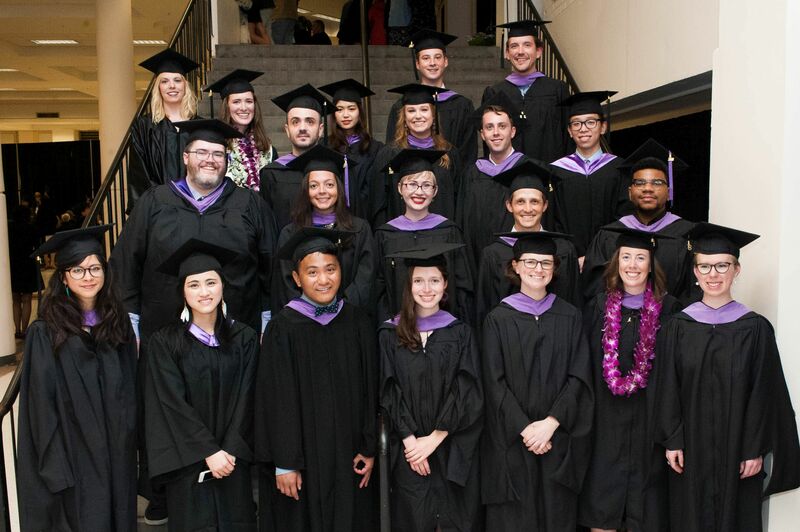 On Saturday, June 15, 2019 the University of Washington community will come together at Husky Stadium to celebrate the achievements of the Class of 2019 Commencement is the formal campus-wide ceremony honoring graduates, and academic attire is required for this ceremony. For more information, including tickets, visit the Commencement website. 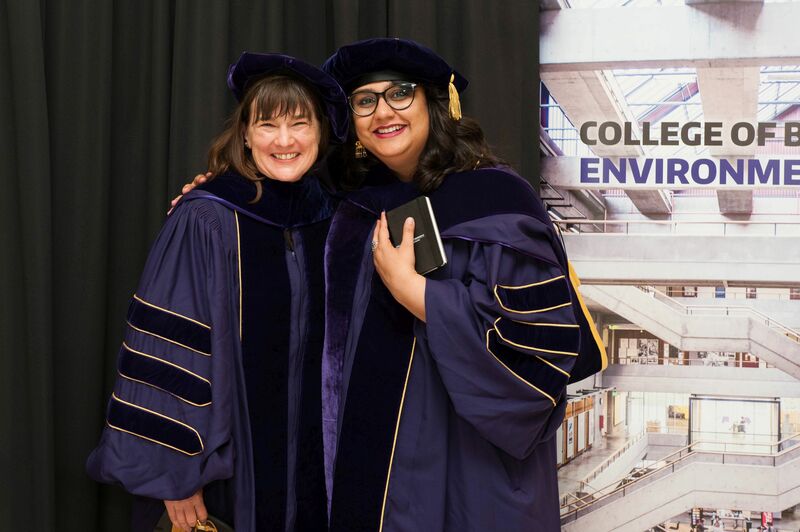 The College of Built Environments cordially invites all graduating students and their families and friends to a Graduation Celebration and reception. 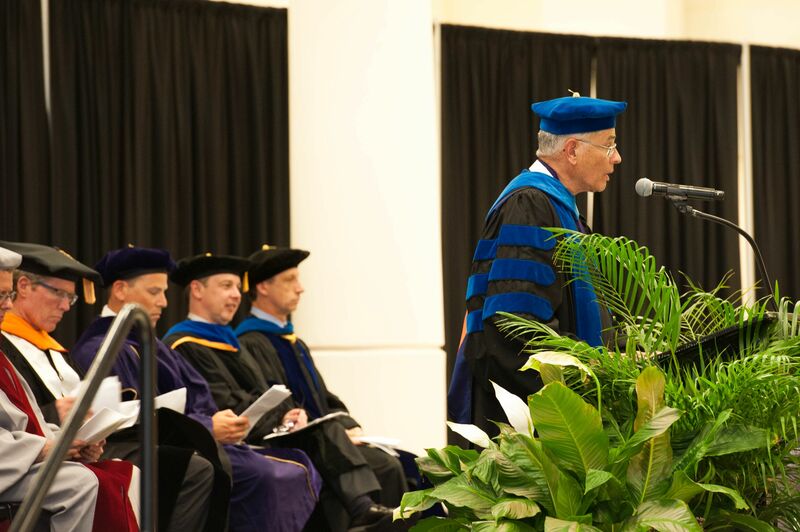 This event honors graduates from all departments and interdisciplinary programs in the college. 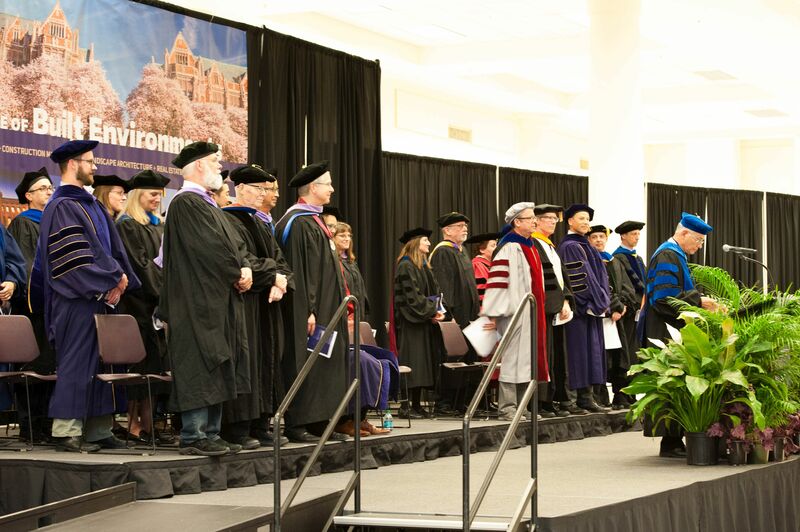 College Faculty and Staff will be there to celebrate your success. The keynote speaker is Mr. Samuel Assefa, Director of Seattle’s Office of Planning and Community Development. Graduating Students please RSVP by Friday, June 7. Click here to RSVP. Faculty and Staff please RSVP Friday, June 7. Click here to RSVP. When should I arrive? Doors to the Exhibition Hall open at 12:00 pm. 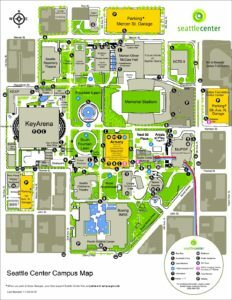 Graduating students and faculty should arrive no later than 12:30 pm, and follow signs to backstage. Shelly Oberman of Shelly Oberman Photography will be taking professional group photos of each class beginning promptly at 12:00 pm with informal photos throughout the ceremony and reception. What should I wear? Wearing academic apparel (cap and gown) is preferred. Academic apparel orders can be placed here in May (TBD). 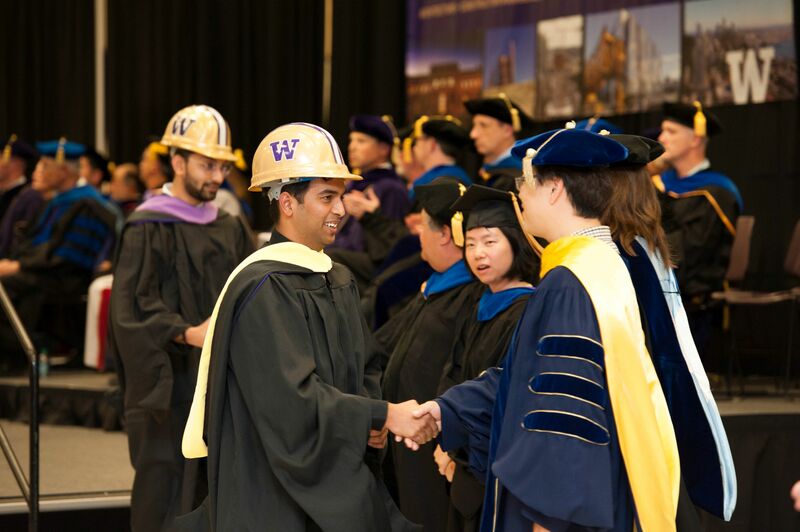 Caps and Gowns ordered from the University are picked up in June (Dates TBD) at the UW Bookstore (lower level) during bookstore hours. How does the tassel go? If you are wearing a mortarboard cap, it is worn flat on the head and tassels are usually worn on the right side and shifted to the left when graduates receive their diplomas. Where is the Exhibition Hall located? The Exhibition Hall is located at Seattle Center and is just a short 15 minute drive southwest of the University of Washington campus. Will there be parking? Parking is available in lots adjacent to Seattle Center and on the street. The lot closest to the Exhibition Hall is the Mercer Garage with an entrance on 3rd Ave N, between Mercer and Roy. All parking lots and street spots in the area require payment. We believe the maximum parking payment will be around $15, but could be significantly less. How many guests may I bring? and Do they need tickets? No tickets necessary. We will have approx. 4 guest seats per graduating student with additional standing room available. Will accommodations be provided for persons with disabilities? The Exhibition Hall is wheelchair accessible. Persons needing additional assistance with seating, etc., should email meegan@uw.edu.